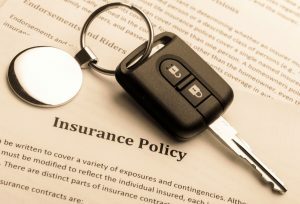 According to the Insurance Information Institute, about one (1) out of every eight (8) drivers on the road are uninsured in the United States. Luckily, for residents of Pennsylvania, that figure is much lower in our state with 7.6 percent or about one (1) in thirteen (13) drivers lacking auto insurance. So while the odds of getting into an auto accident with an uninsured or underinsured driver may be lower in Pennsylvania and Bucks County than it is elsewhere, accidents with drivers who are uninsured certainly do happen. If you are injured in a motor vehicle accident involving an uninsured driver, what are your options? At The Law Office of Kamensky, Cohen & Riechelson, our personal injury attorneys have over 45 years of experience dealing with uninsured and underinsured motorists. We understand that there are available options for our clients in Pennsylvania towns including Northeast Philadelphia, Levittown, Penndel, Millbrook, Feasterville, Bensalem and the greater Bucks County region. Lean on our experience and knowledge of personal injury law to seek full and fair compensation for your injuries. Call our office today for a free and confidential consultation with a member of our legal team regarding your motor vehicle accident injuries and to find out how we can best serve your needs. Underinsured and Uninsured auto insurance motorist coverage is not legally required in the state of Pennsylvania. If you have been involved in an injurious accident with a party who is underinsured or uninsured, the first step our Northeast Philadelphia car accident injury lawyers will take is to go over the details of your auto policy. If you do have this coverage, we may seek to work with your auto insurance provider to recover damages. Underinsured and Uninsured coverage protects the policyholder, other drivers listed on the policy, and any passengers in the vehicle when the accident occurred. This coverage is similar to liability insurance in that it has strict limits to what can be paid out for a claim. Generally, these limits are held both per accident and per claimant. In the case of an underinsured motorist, our attorneys will seek full allowable compensation to be paid by the other driver’s policy before recovering the remainder for your auto policy. In other words, if the at fault driver’s policy only covers $100,000 in damages and you are owed $150,000, our attorneys will recover $100,000 from the other driver’s insurance company and $50,000 from your provider. In all of these situations, our legal team will work with your auto insurance provider to recover the damages you need to secure your financial future. What if I Have No Uninsured or Underinsured Motorist Protection in Bucks County, PA? Pennsylvania is a “no-fault” state, which generally means that auto insurance claims are handled by your own auto insurance provider. As a first step, our Bucks County attorneys will always attempt to settle your claims through your insurance company. However, if you do not have underinsured and uninsured motorist coverage, your only other recourse is to file a personal injury claim against the at fault driver personally. While this is certainly a viable option and we will aggressively pursue this avenue to recover compensation, it is often the case that uninsured drivers are unable to pay any settlements or verdicts. Another way to look at it is to consider how an individual who likely cannot afford to pay for auto insurance will be able to pay for your medical bills, lost wages, pain and suffering, and other incidental expenses. It isn’t likely. For this and many other reasons, we do believe that it is a great idea for all Pennsylvania drivers to purchase underinsured and uninsured motorist protection if at all possible. The personal injury attorneys of Kamensky, Cohen & Riechelson understand the frustrations that can accompany being injured in an accident by an individual who does not have legally required insurance. This can be especially frustrating when you do not have the coverage to handle this type of situation. Even in these difficult situations, our experienced legal team will seek to recover full and fair compensation for you, just as we have done for clients in Pennsylvania towns including Levittown, Bensalem, Northeast Philadelphia, Feasterville, Penndel, Feasterville, Millbrook, and all of Bucks County. Contact us online or give us a call at our Bensalem offices by dialing (215) 337-4915 today for a free and confidential consultation regarding your accident involving an uninsured motorist and your potential personal injury claim.